The warm, engaging personality that radiates from artist-writer-motivator Rachel Ridge makes her a hit with audiences, touching people of all ages. Clearly a people lover, Rachel brings fun and excitement to the speaking platform, while sharing advice and experiences on topics designed to teach, uplift and inspire. As a guest on radio, television, and podcasts, Rachel connects with audiences in a unique, memorable way. Whether you're looking for a corporate keynote speaker, a conference speaker, or a workshop presenter or facilitator, Rachel's blend of humor and inspiration will delight your audience. "Rachel went over and above our expectation and truly was the highlight of the evening. She had the perfect blend of humor and inspiration and truly stirred our hearts." Lea C.
"Rachel is so real and such an inspiration." Lisa C.
"Rachel is truly an inspiration and God has given her a gift to share that so many of us need." Lyndsay S.
Positive relationships are the number one factor in creating healthy, happy lives…so why is it so hard to find and maintain friendships? In this presentation, Rachel shares practical tips and inspiring stories to help you discover the beauty of friendships around you, and deepen the relationships you already have. Life's Interruptions: Problems or Opportunities? Interruptions happen to all of us: an unexpected job loss, illness, divorce, and even simple things like phone calls and flat tires...they cause frustration and despair. But what if we could learn to see our interruptions in a new light? What if those uninvited moments could become opportunities for growth and joy? It is possible, and Rachel shows you how. When it comes to discovering what you were created for, it’s all too easy to get stuck. Even figuring out the next step can feel overwhelming: You sense you’re meant to do something important, maybe more “special” than you’re doing now, but where do you start? Based on Rachel's book, Made to Belong, A Six Week Journey to Discovering Your Purpose, you'll be inspired to dig deep, try new things, and step out of your comfort zones to move into an exciting and fulfilling future. “The Donkey Principles” is profoundly entertaining while delivering an inspiring message about how God uses the most unlikely of characters to do amazing things. Rachel’s life was interrupted by a stray donkey who took up permanent residence with her family in 2007. Flash, as he is named, regularly entertains them with his antics (such as falling in love with the horse next door) and provides incredible life truths through his simple life in the pasture. 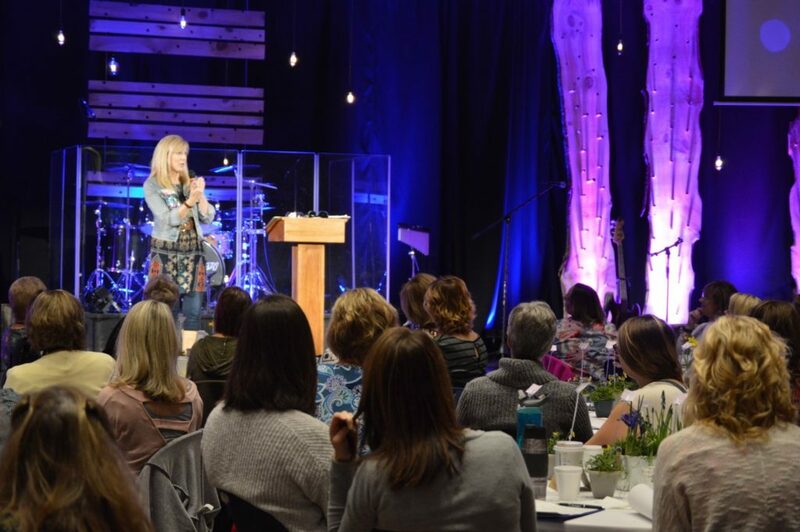 Women in all stages of life enjoy these sessions and they walk away with practical tips and tools to make “sanctuary” happen in their own homes. Do you struggle to keep your home organized and calm? You’re not alone. From her own experience as a “creative messie,” Rachel teaches the art creating a sanctuary for yourself and the ones you love through workshops, Bible Studies and her blog, www.HomeSanctuary.com. She’s learned that you don’t have to be perfect to have a home filled with grace and love – all it takes is a willing heart and a few simple tools. Everyone needs a place of refuge. It’s where we find comfort, significance and value. And we are all looking for that refuge in one way or another – from what we drive, what kind of house we live in, the activities we choose and the addictions that seem to help us cope. But there is one true place of comfort and significance – found in the pages of the Bible – and this retreat topic leads participants to discover it together. Did you know that Isaiah was a fashionista? In his writings, he often uses clothing as a spiritual metaphor. This message takes a spin on the popular TV show “What Not to Wear” and motivates us to get a spiritual wardrobe makeover in Isaiah 61: beauty for ashes, the oil of joy for mourning, and the garment of praise for a spirit of despair. Rachel has been presenting daily “Small Things” on her blog for several years, inspiring readers all over the world to find joy in taking small but important steps toward the kind of home they want to have. In this message, she applies the same principles toward life goals and shows how it is never too late to fulfill your dreams. Rachel welcomes speaking requests from a wide range of groups, from women’s groups to community and business organizations, and schools. She is happy to create or customize topics for individual events.